Don’t let them strong-arm you into HVAC “solutions” you don’t really need. Find the right system for both your budget and your needs. We’re here to help you save! What Is the Right HVAC System for My Home? Our Trane Comfort Specialists can guide you through the process of selecting a new heating and cooling unit. Take Your Home Heating and Cooling to the Next Level With a WiFi Thermostat! Our Nexia systems help you save money without sacrificing comfort. 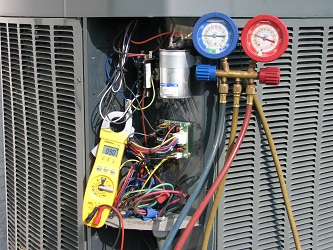 Routine maintenance can keep your air conditioner running smoothly through even the highest temperatures. For the most honest service, opt for a company that does not pay their service techs based on sales.